Now add potassium to your diet smartly. It helps relieve muscle cramps, prevent osteoporosis, reduce blood pressure and much more. The most commonly consumed for potassium would be bananas. Surprisingly, it’s not just banana, adding white beans to your diet is impressive as it serves around 700 mg of potassium (one cup). It’s quite a rice source. 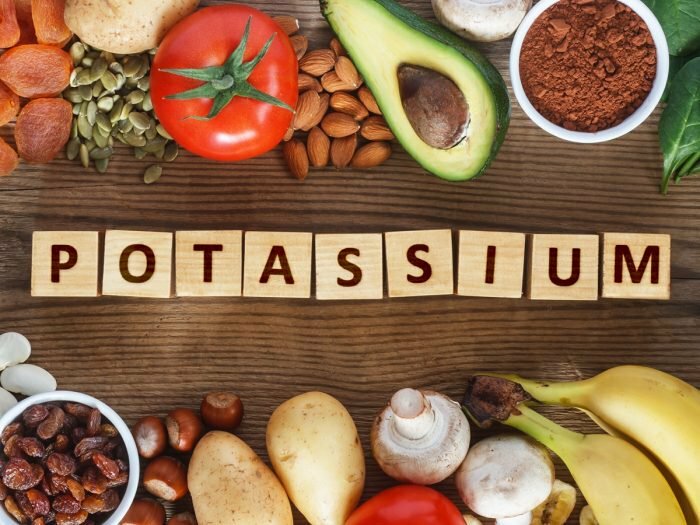 Other good sources to grasps potassium include tomato sauce, watermelon, cooked spinach/broccoli, Mushrooms, Peas, Cucumbers, Eggplant, Pumpkins and Swiss chard. Certain dry fruits such as raisins, prunes and dates are also high in potassium. Dairy products such as milk and yoghurt (low fat) are also high in potassium. If you are a fish seafood lover, then; Tuna, cod, Halibut, Trout, Rockfish is a good choice.